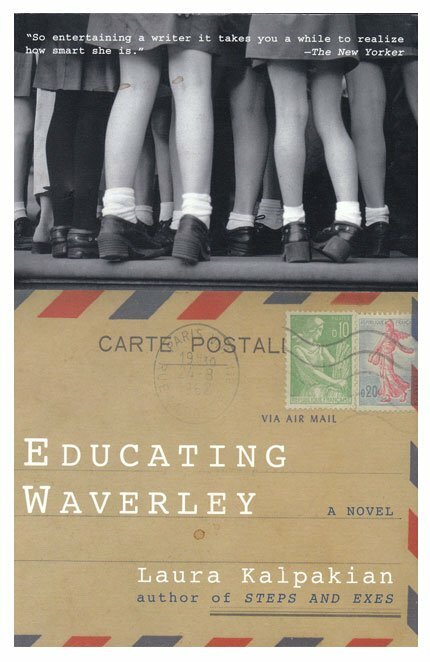 Educating Waverley is the story of an immortal teacher in an eccentric school. A braided tale of courage, loyalty and love: four women who bond across time. Once, long ago in Paris, two women loved the same man, the painter, Denis Aron. When he failed to return to Paris after the Great War, his mistress, the brilliant, artistic American, Sophia Westervelt, left France and returned to remote Isadora Island in the Puget Sound. Here she founded Temple School, dedicated to avant-garde education for women: to teach girls to excel, to achieve, to transform music into movement, and use the telescope and the microscope, to live and love beyond the confines of convention, to become North American Women of the Future. In 1939 young Waverley Scott, abandoned and unloved, arrives at Temple School, banished here, as she well knows, because she too closely resembles her mother’s married employer. Though Temple School has fallen on hard times, Waverley blossoms amid its strange curriculum. Far away in Europe war again rages. France falls to the Nazis. Denis Aron’s wife, Judith, is desperate to spare their daughter, Avril, the fate the Nazi Occupiers will certainly mete out to French Jews. Judith writes to her husband’s former mistress, asking if Avril can come to Temple School. After a harrowing journey Avril Aron arrives on the island, dirty, hungry, angry, friendless and bitterly homesick. Waverley and Avril, two lonely girls, create an enduring bond of friendship. They are joined by Sandy Lomax, a boy native to the island; the three share forbidden midnight outings, adventures and sexual discoveries that scandalize the island as Waverley’s mother drags her away from the school, and down to the dock for a return to the mainland, convention and a life where ultimately, she will be a confirmed iconoclast, a perennial misfit. One day Waverley’s youthful education will be put to the test. She will be offered a choice that will challenge her loyalties, her youthful education. Her decision will exacerbate passions she thought long dormant. Can a woman be educated to triumph over heartbreak, doubt and loss? In Educating Waverley, the author too learned a lot.